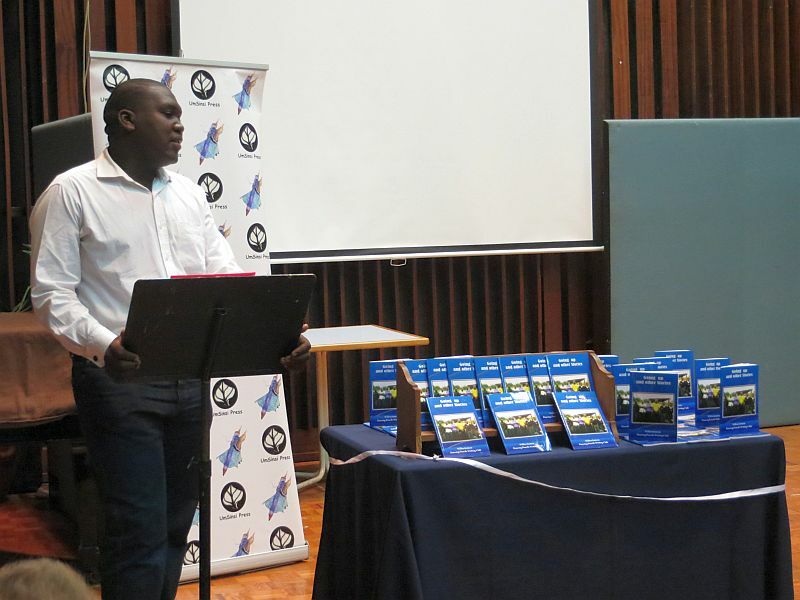 Thamie Mkhize, Mentor of the Willowfontein Dancing Pencils Writing Club, spoke to the audience at the launch of the club’s second anthology on Sunday 4th August. He explained that a group of 18 young men meet each week to motivate and support each other, by writing or playing chess, or advising on various life issues. The club have a third anthology that is ready for publication so they have been working hard. Next the individual members will work at each writing a stand alone book or novel. The atmosphere at the launch was warm and happy as the Blue Moon Dancing Pencils Writing Club were also present as was a third invited writing club. The programme included two Indian dances and several items put on by the Willowfontein members themselves. Xolani Sithole, publicist for umSinsi Press and Dancing Pencils, did a performance poem. And the breyani at the end of the function was really delicious! Thank you to all who helped make this a special evening.